It's that time of year again. It's like clock work now: every few months we're inundated with a public health crisis THAT DEMANDS, OR IN SOME JURISDICTIONS REQUIRES, THAT WE GET VACCINATED. Or face losing our children, prosecution, or worse: death. The hysteria is carefully orchestrated by the pharmaceutical industry to incite fear in hope of injecting people with deadly vaccines. However, the public has caught on to these manufactured national health crisis. Nowadays, the majority of us ignore these trumped up crisis and they come and go, until the next one is conjured, like clock work. The entire vaccine program is based on massive fraud. -- Dr. Russell L. Blaylock, M.D. What, then, is the value of vaccination? We firmly believe that it has no value at all. Its supposed value has been deduced from incorrect reasoning on the part of its advocates. ---Dr. Charles T. Pearce, M.D. People have a higher chance of being hit by a vehicle crossing the street than they do being infected with these diseases. Besides, there is NOTHING in vaccines that can strengthen the immune system or prevent these diseases--that is the job of nutrients. The ingredients in vaccines are as safe as the chemicals under the kitchen sink; in many cases the chemicals in vaccines ARE the same as those in cleaning products commonly found under the kitchen sink: they're petroleum-based, made from fossil fuel, the same stuff we fuel our cars with. Doctors rely heavily on information supplied by the pharmaceutical industry. But proper research suggests that just six percent of this information is supported by hard evidence. All this leads to another important issue—we the public are taking record levels of drugs but our health is not improving. I see some patients who take more than ten medications a day and I feel that these multiple drugs may do a lot more harm than good. The pharmaceutical industry has invested a fortune in making us sick and neurotic. Put bluntly, the profit motive of the pharmaceutical industry is corrupting doctors and destroying society’s sense of well-being. The medical profession continues to be in denial over the influence of the pharmaceutical industry. Many doctors are addicted to its hospitality and freebie culture, so beware; your prescription may not have been issued for all the right reasons. --GERARD KIELTY, I.R.B., I.D.E. 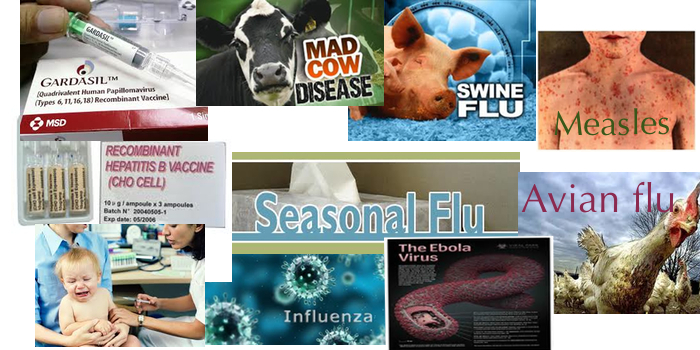 If the pharmaceutical industry science is so advanced, as it claims, then it would create a cure for these diseases--vaccinate patients only AFTER they have been infected. However, using that business model, the pharmaceutical industry would only sell dozens of vaccines. It is much more profitable to create hysteria and scare millions into getting vaccinated. Of course, all these diseases are real and are a threat, but an epidemic every few months that threatens the human species? Studies have shown that vaccines, or pharmaceutical drugs in general, cause the illness and disease they were intended to treat. The more people who are sick, the more customers for the pharmaceutical companies. Children are growing up with unnatural diseases that according to doctors and the pharmaceutical industry have no known causes. Or they've developed unexplained symptoms that are difficult to diagnose by physicians. What caused all of them? What caused a smoker to have lung cancer? Could it be what they had put in their body 5-20 years ago? Vaccines are very profitable to the pharmaceutical companies that manufacture them. And all of these vaccine manufacturers (Sanofi, Merck, GlaxoSmithKline, Pfizer, Novartis, Johnson & Johnson) are listed on stock exchanges. 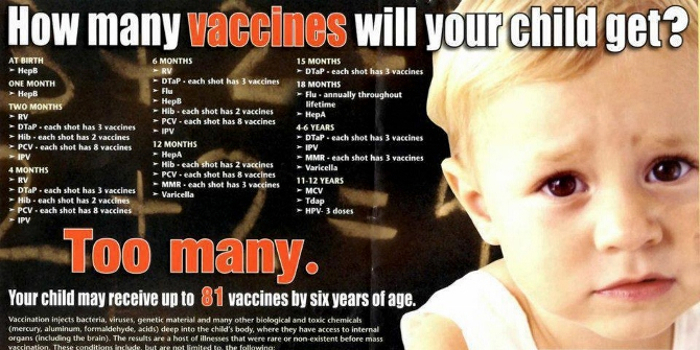 Vaccines are a business. There isn't any conspiracy, just follow the money trail. There is a significant difference between business and science--they're separate disciplines. Research that shows the effectiveness of these vaccines are funded by the companies that manufacture them. This is an obvious conflict of interest. Moreover, these studies have been proven to be unreliable and in many cases completely fraudulent. If we listen to these pharmaceutical companies and vaccinate every time there's a "health crisis" or pandemic, our body would be a garbage dump of synthetic chemicals. We would get sick, often with unexplained symptoms and unknown causes, while their shareholders are enriched. Take 50-200 people you know, do any of them have the diseases (influenzas, or flus) above? Unlikely. If we believe government bureaucrats, public officials, and politicians, just remember "the revolving door." Government bureaucrats used to work for pharmaceutical companies, or they will work for them once they leave government; public officials are in the same situation; and the campaign money of many politicians is funded by the pharmaceutical industry. Remember, the first legal duty of a public listed company is to maximize profit for its shareholders. They are running a monopoly and they will lie, cheat and steal to keep it that way. --Dr Eva Snead, on the medical-industrial complex.